Having digital copies of your drawings makes it easy to find files without searching through drawers, tubes, and hanging files. It also protects your originals from wear and tear due to handling. Digital copies lower your duplication and shipping costs and allow you to print, plot, fax, or e-mail images directly from your desk. You can also increase security by encrypting or password protecting your documents. 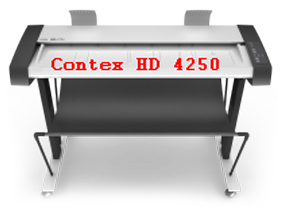 PMI uses the Contex HD 4250 scanner for your large-format document digitization services because it delivers the best quality image in the world today. This award-winning HD ultra scanner is simply the best large format scanner available and is designed to meet all possible scanning needs of technical experts, graphics professionals, and reprographics departments. With it, we scan your documents three times faster and can enhance the file in AutoCAD, ESRI, and other document workflows.